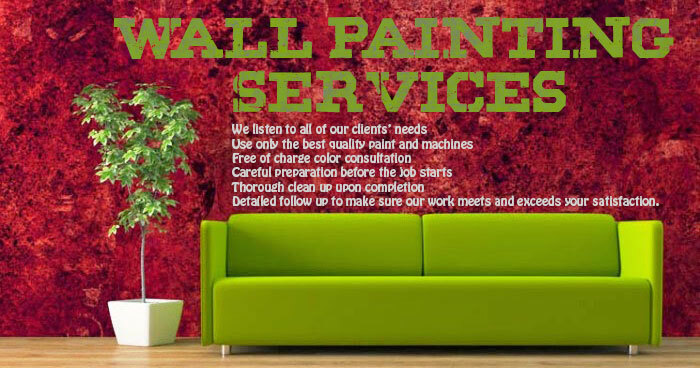 If you are considering hiring wall painting services in Dubai then, you are required to keep a few things in mind when hiring the services of a painter. It is no wonder that the coating of your house requires being refreshed; else it would result in decreasing the efficiency of your house. Painting your house is a wonderful way to add a layer of protection to your house, as it plays a vital role in protecting it against the atrocities of the weather. It also makes your house looks new—no matter how old your house might be. A majority of the people refrains from hiring professional services of a painter, and they rely on their expertise to paint their houses. Their main objective is usually to save money and time but, doing a DIY wall paint ends up in costing more time and wasting more money in the long run. While a majority of the homeowners tend to explore the area of a wall painting by themselves—it would take them days to complete the project. Of course, if you have a job, you wouldn’t stand and work on the completion of the tasks. If there is no one else to accompany you then, it should take you weeks for the completion of the project. On the contrary, hiring professional painting services is an excellent way to ensure the completion of the tasks within the given timeframe. You can even expect the painters to complete the job in a couple of hours, rather than taking days or weeks to add new life to your walls. The painters are constantly taking risks for painting the walls. It requires them to climb tall ladders, roofs, lean out windows to make sure that they do not miss any spot. Of course, if you can paint the accessible sections of the wall—you would never take the risk to complete the latter area, and it would make the work look splotchy and incomplete. A professional painter is trained to climb heights, and they can reach inaccessible areas for painting them, and it should make the walls look lively and colorful instantly. It is no rocket science to dip the brushes in the paint, and stroke it on the walls but, it always takes consistency to deliver quality outcomes. The professional painters are vastly familiar with experimenting with various tools and techniques for painting the walls, and they go above and beyond a mile to deliver high-quality results, which would keep your walls looking refreshed and renewed for years.